Hello Everyone! Just a quick update giving details of our upcoming events and Christmas opening hours so you can plan ahead and treat yourself and your loved ones to the perfect gifts! 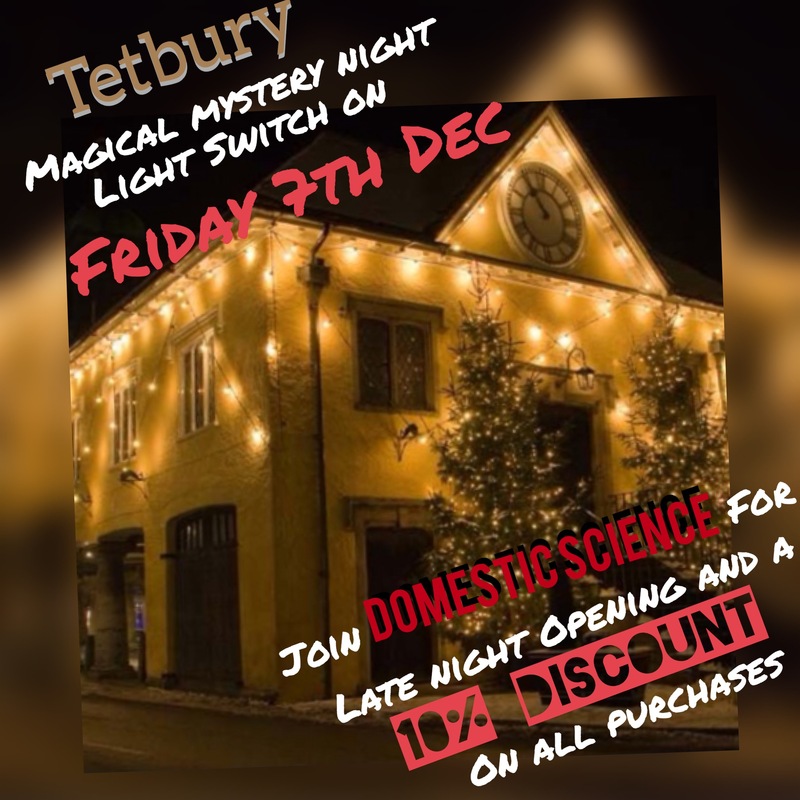 Join us on the evening of Friday 7th December for Tetbury’s Magical Mystery Night and Light Switch On. We are opening late and offering a 10% discount on all purchases from 5pm onwards. Plenty of Tetbury’s stores will be open – expect lots of festive fun, music and mince pies! The event commences at 6pm with a Parade up Long Street featuring the Nailsworth Silver Band and Father Christmas himself. This is then followed by the light switch on at 6.15 at the Market House. So come join us! More information can be found on the Tetbury Town Council Website – just click on the photo above! BOTH OUR NAILSWORTH AND TETBURY STORES WILL BE OPEN UNTIL 7.30PM EVERY THURSDAY UNTIL CHRISTMAS!